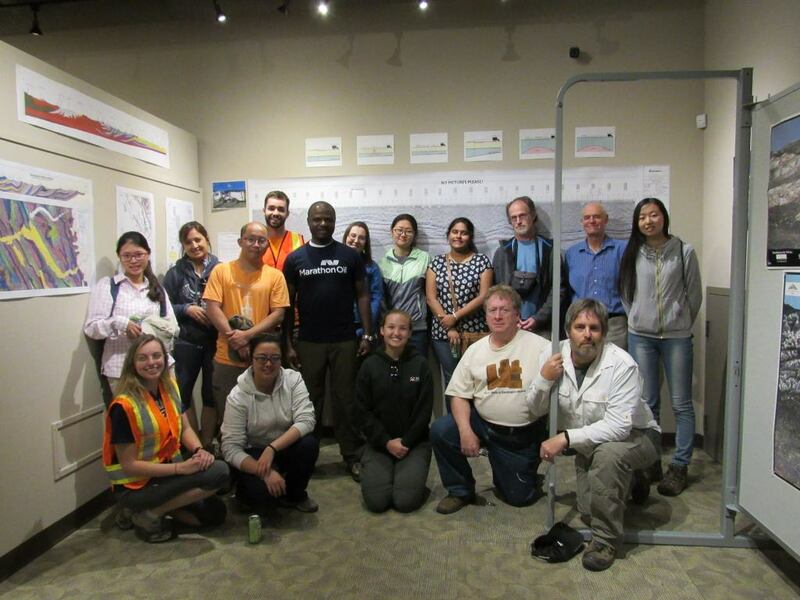 On July 8, 2016, twelve geology students from the Rice University AAPG Student Chapter in Houston, Texas visited CRESRC. The Rice University leader was Dr. Malcolm Ross with Canadian guides Drs. Clint Tippett and Kevin Root. Shell was the sponsor of the trip. This visit came about through a chance meeting with Dr. Ross at the 2015 AAPG ICE in Melbourne, Australia. After mentioning that I had set up an Earth Science Centre in Canmore, he introduced me to Dr. Bert Bally (who was back at Rice University in Houston) via email. Dr. Bally is a world renown geologist who worked with Shell in the early days of exploration in the Canadian Rockies. 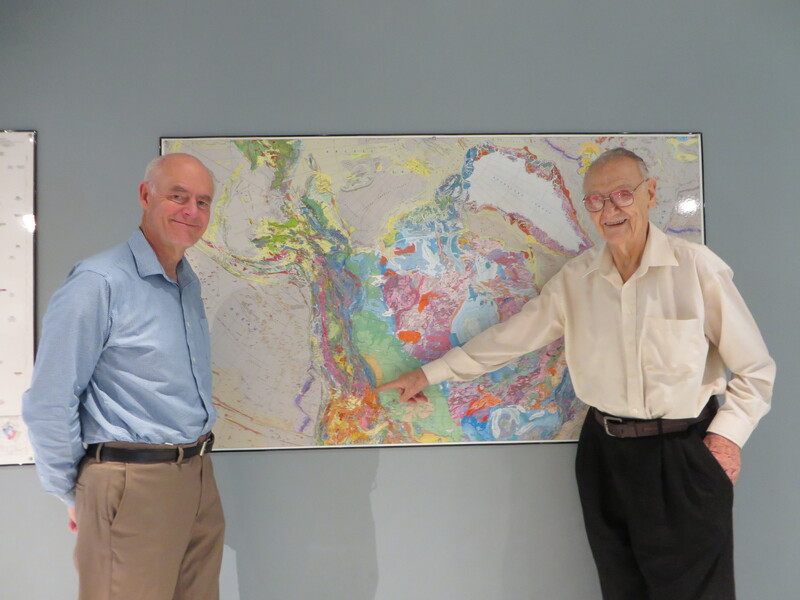 Dr. Ross’s introduction resulted in my visiting Dr. Bally in November 2015 for a day and a half in Houston to reminisce about Canadian foothills exploration in the 1950s and 1960s. Group picture from social media.